Do you have a child / children born between September 2010 – August 2013? 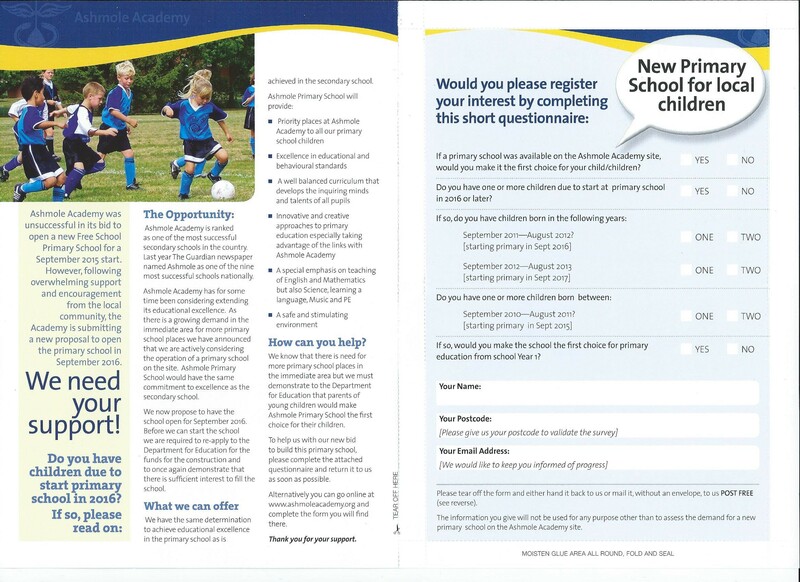 If so then please support Ashmole Academy in their bid to open a new primary school in September 2016 by registering your interest. You can register your interest online by visiting Ashmole’s website here. As this is a new submission you will need to re-submit interest even If you registered previously on the first bid. This entry was posted in Uncategorized and tagged Admissions, Ashmole, Education, Enfield, Schools, Southgate on September 26, 2014 by Gonul Daniels.